GPW & Associates agrees to multi-year term for 15,724 square feet of Office Space at 3101 North Central Avenue. June 7, 2018 (PHOENIX, AZ) – Boxer Property announced today that it has concluded lease negotiations with GPW & Associates for 15,724 square feet of office space at 3101 North Central Avenue in Phoenix, AZ for a multi-year term. Boxer Property’s Leasing Representative, Brooke Ann Montgomery, negotiated the lease on behalf of the landlord. Doug Searle of Strategic Commercial Realty and represented GPW & Associates. “What sealed the deal was that we worked closely with GPW to meet their construction needs; Michelle Cooney, from our in-house space planning team took all of their input and ideas and designed their dream space, with a quick turnaround” said Brooke Ann Montgomery. 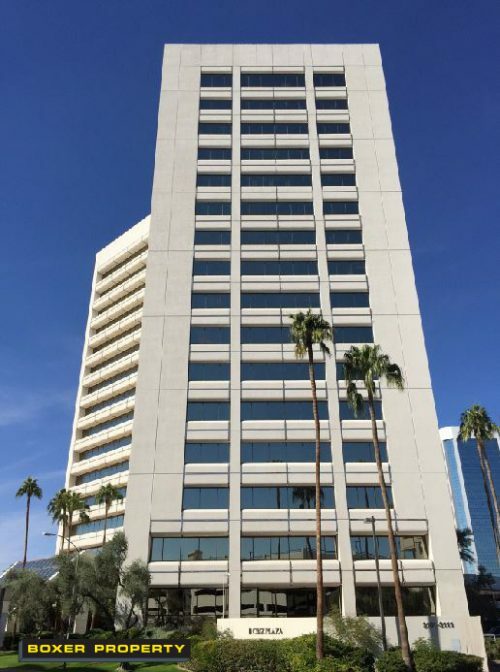 3101 North Central is a Class “A” office project consisting of a 16-story office Tower and 2 story Annex building located in the heart of the Midtown Corridor and across from the Park Central Mall. Offering an on-site deli, 50-person tenant conference room, fountain courtyard, outdoor seating and is expertly maintained by on-site management, leasing, security and maintenance staff.